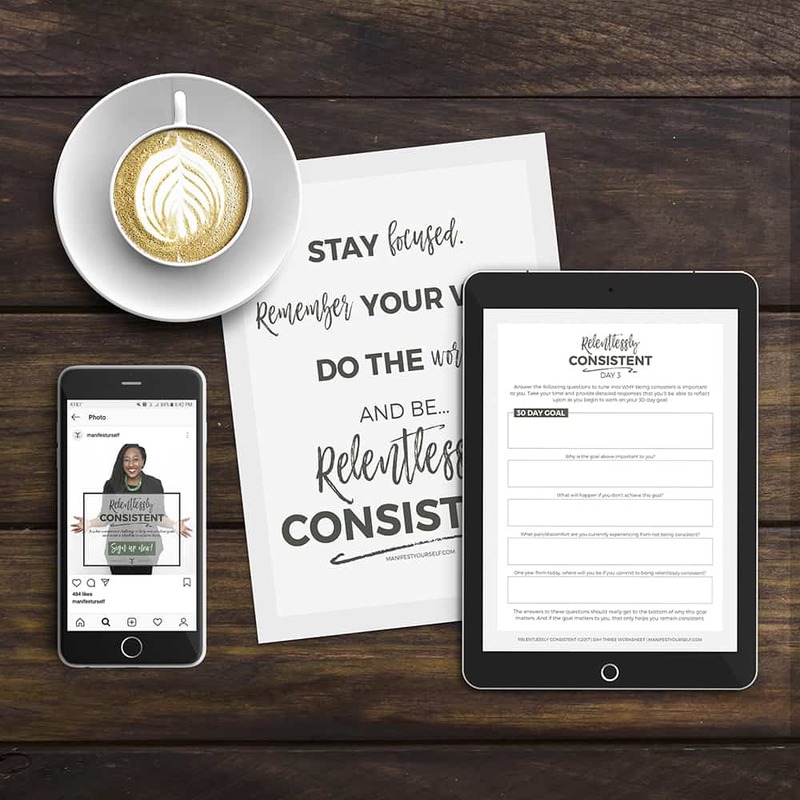 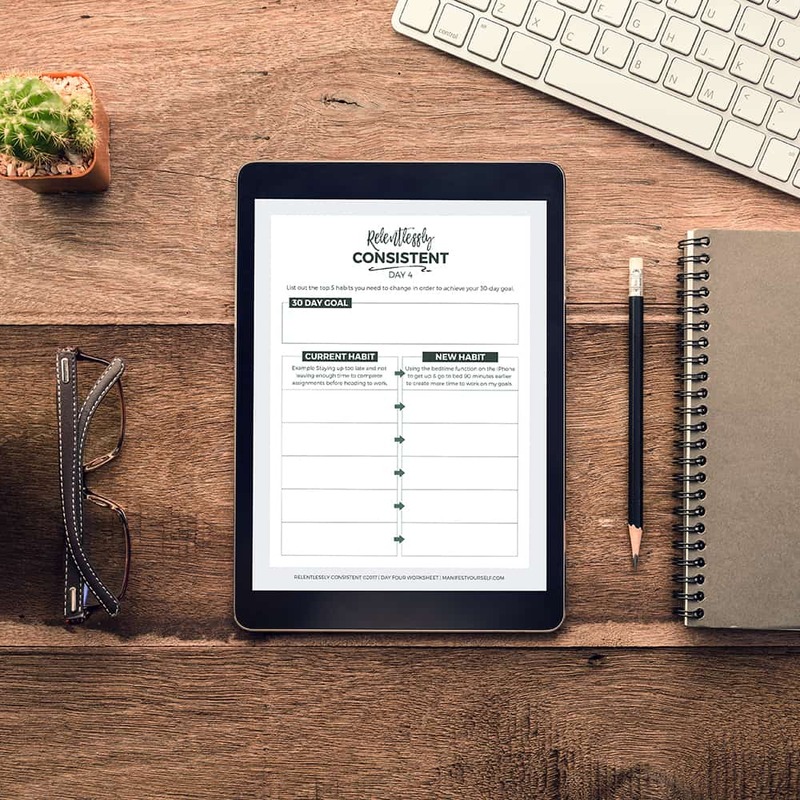 I helped Kimberly at Manifest Yourself create some social media graphics and worksheets for her 5-day challenge called Relentlessly Consistent. 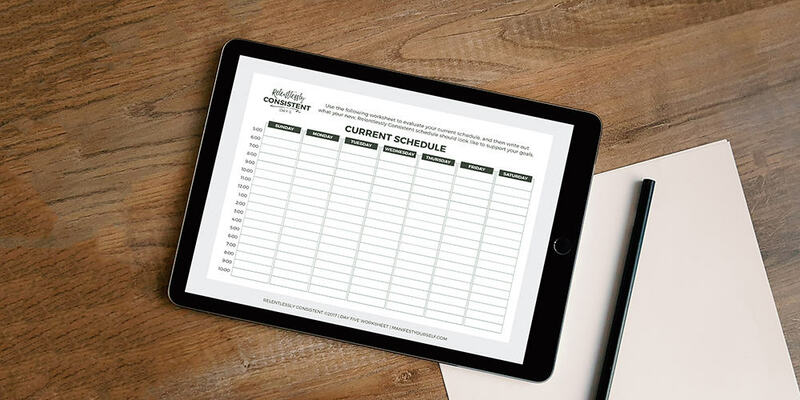 Each day had a different workbook that she would send out in an email. 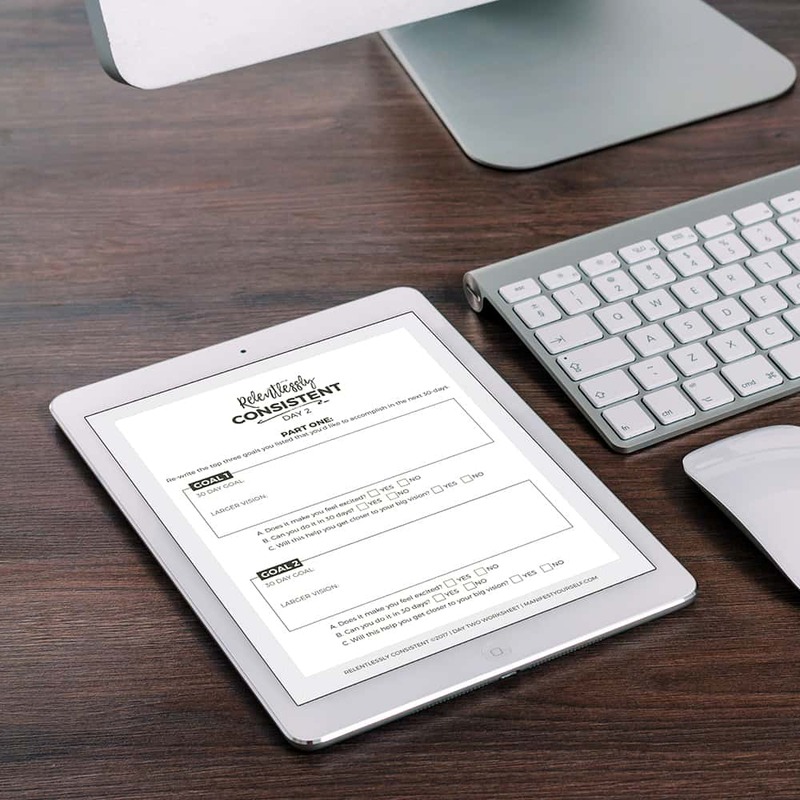 The PDFs were fillable and could also be printed if the customer decided to do so. 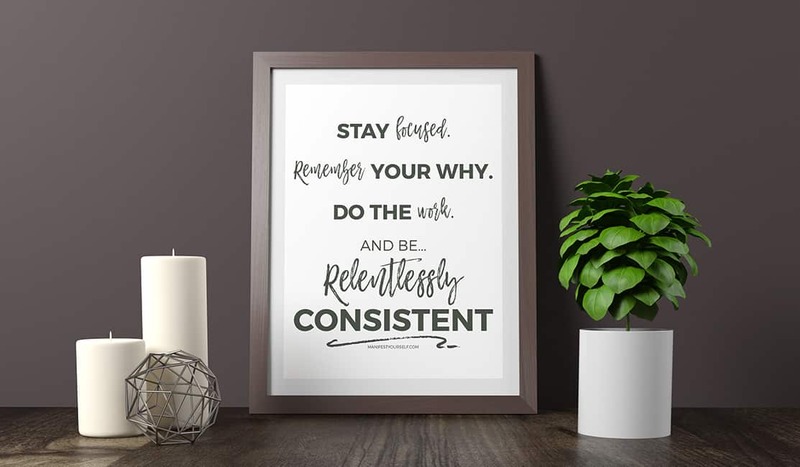 One of my favorite things I create was this bonus printable I decided to create that she could share with her customers to remind them to get the work done.